Schedulers help to schedule the arranged operations into an appropriate sequence, and the responses are delivered at the scheduled time. You can create Scheduler in Aritic Desk easily by following the below steps. 1. Go to your Aritic account. 2. Click on “Manage”, and then select “Scheduler”. 3. 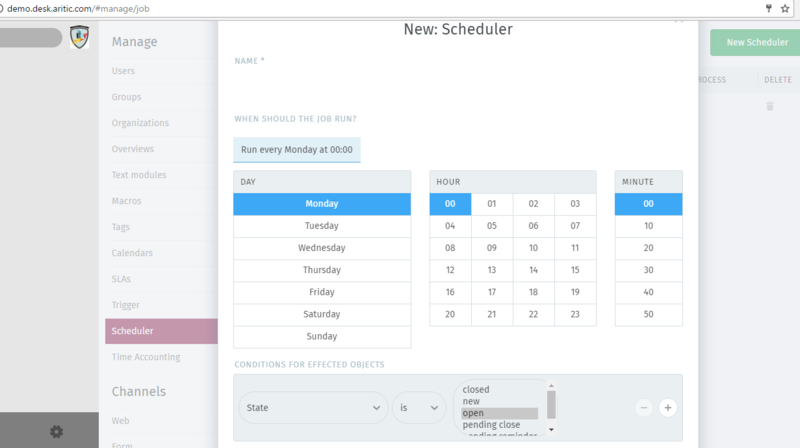 After this, select “New Scheduler” from the right corner of the screen. Name – Name of the scheduler you want to give. When should the job run – The starting date and time of the scheduler. Conditions for effected objects – Select the condition state, condition etc. 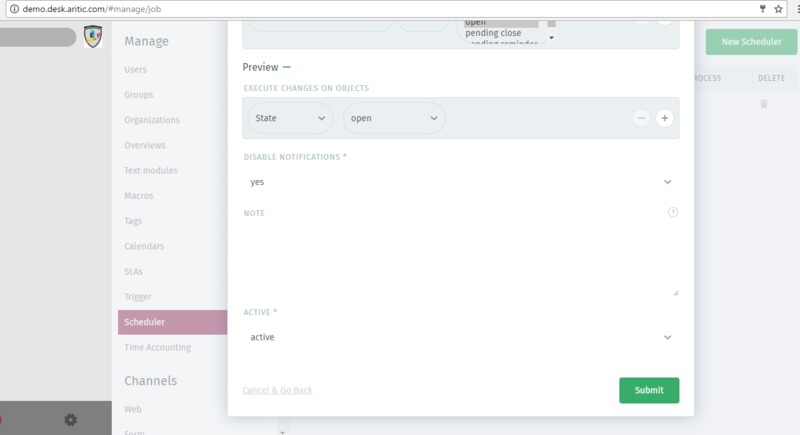 Disable Notification – Enable yes. After this, click on “Submit” button and your new scheduler is created.